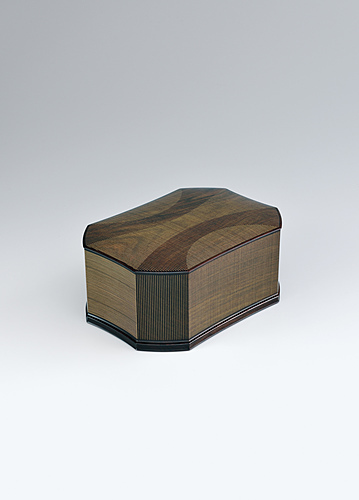 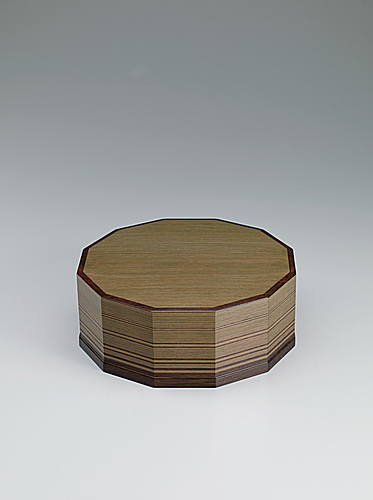 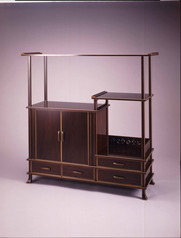 As the main material, NITTA uses precious imported hardwood (rosewood, ebony, Bombay blackwood, or Burmese rosewood), and employs traditional techniques to create modern works by applying thin-line inlay with Japanese boxwood. 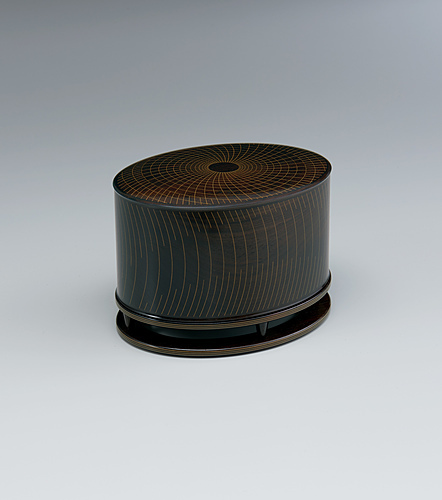 He produces many different types of work ranging in size from side boards to tea scoops. 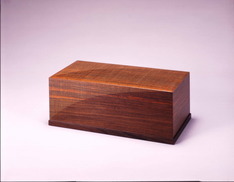 In 2007 or so, NITTA started incorporating his own ideas into his pieces.